CFN - CALIFORNIA FIRE NEWS - CAL FIRE NEWS : CA-BEU Encinal Fire, Vegetation Fire, Monterey County 400 acres 100% contained. CA-BEU Encinal Fire, Vegetation Fire, Monterey County 400 acres 100% contained. No structure or infrastructure threats, Fire is burning in a remote location making it difficult to access. Fire had spread into surrounding heavy fuels and brush. 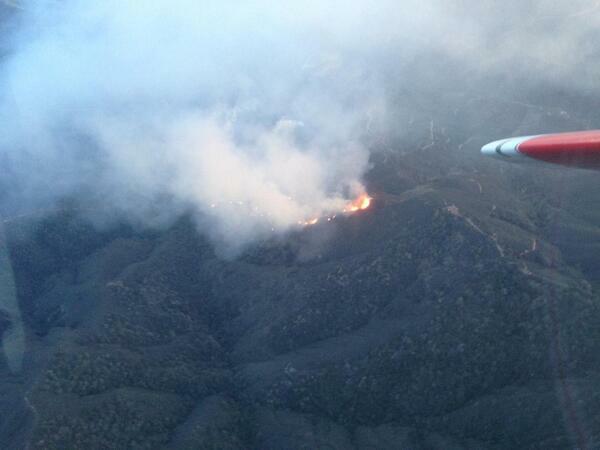 Update 1700 3-20-14: #EncinalFire 400 acres & 50% contained.